by robert galbraith | Mystery & Thrillers | This book has not been rated. 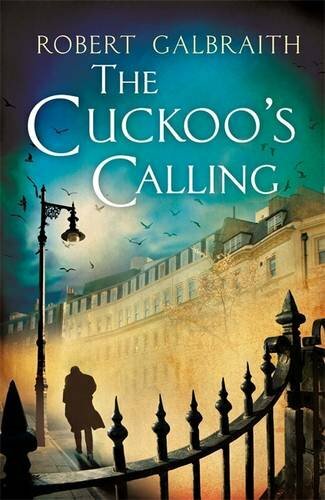 A gripping, elegant mystery steeped in the atmosphere of London – from the hushed streets of Mayfair to the backstreet pubs of the East End to the bustle of Soho – The Cuckoo's Calling is a remarkable book. Introducing Cormoran Strike, this is the acclaimed first crime novel by J.K. Rowling, writing under the pseudonym Robert Galbraith. - although I feel no need to keep the book permanently, I'll be happy to read more Cormoran Strike books. This is a large paperback. I'm almost done with Rowling's "The Silkworm", so I just had to take this one from our local meeting. Thanks, Niora! Caught it during Bookcrossing Convention in Oslo 2017 :) I wanted to read it for a long time so was happy to find on the book buffet. Thanks!